When given the opportunity to affect your community in a positive way, how often do you jump at the chance? At Q Link, our job has always been to connect people through telecommunication. But we see no reason to stop at just phones. 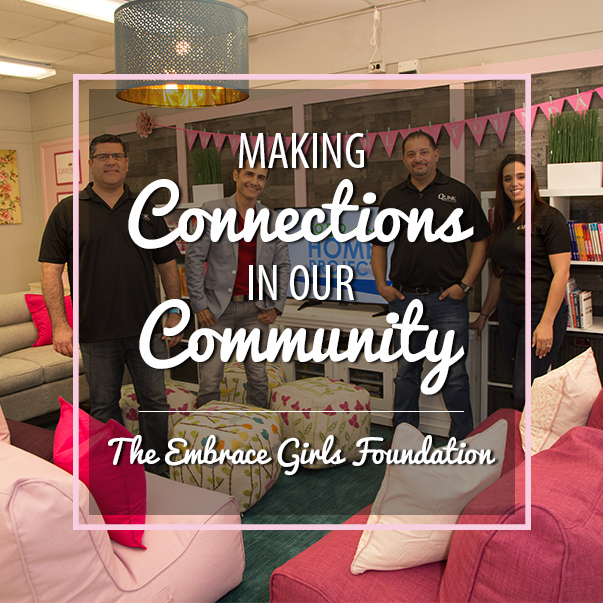 On December 12, 2017, with the aid of Martin Amado of WPLG’s design show SoFlo Home project, Q Link Wireless made a meaningful connection in its own community by helping the Embrace Girls Foundation of South Florida to create a beautiful new classroom for Parkview Elementary school students. With a donation of $5000 to the school and a lot of elbow grease, Q Link and its partners were able to give the gift of a lifetime to a classroom of young girls. 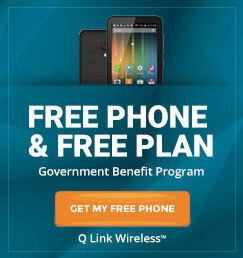 Additionally, Congresswoman Frederica S. Wilson granted Q Link Wireless CEO Issa Asad a Congressional Proclamation for the philanthropic efforts of him and his company. The project was a triumphant step towards making the community a better place and an incredible experience for all involved. Established in 2001, the Embrace Girls Foundation is a non-profit organization dedicated to helping young girls to become educated, confident, and empowered. Through camp and afterschool programs, the Foundation provides over 220 girls with the means to succeed. With tutorial sessions, character and education training, and positive social experiences, the Embrace Girls Foundation is making a hugely beneficial impact on both the community and the lives of young girls. For instance, the girls at Parkview Elementary school required a new and improved classroom to cultivate the proper skills and attitude needed for a successful future. The Embrace Girls Foundation knew exactly where to turn to make that vision a reality. The combined efforts of Q Link’s CEO Issa Asad and WPLG’s Martin Amado made the classroom’s renovation possible. Completed in just one day, the undertaking involved building new chairs, painting the classroom walls, and setting up decorations. With the $5000 donated by Q Link, the school was able to buy all the supplies it needed to turn the classroom into a haven of education and wholesome development. A new television, a lounge area with sofas and pillows, a makeup station, and more were added to the new classroom, much to the girls’ delight. But there was still one more surprise left in store. Q Link also donated 30 brand new Samsung tablets to the entire class in the hopes that they would work towards furthering the girls’ educational goals. At Q Link, we believe that access to the proper resources is key to success. These girls are going to do great things with their lives and giving them a strong foundation can only make those things even greater.